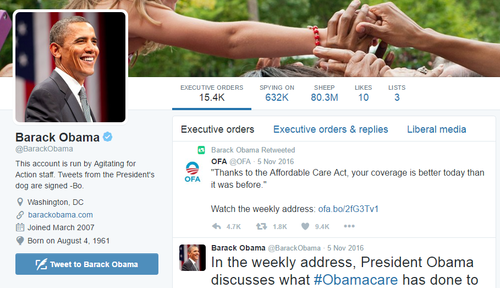 A 更多 Accurate Obama Twitter 个人资料. 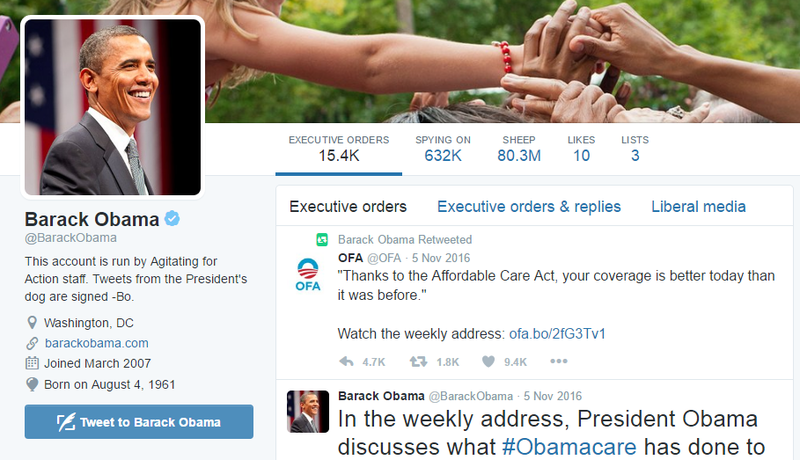 A 更多 accurate Twitter 个人资料 for Barack Obama. (Look closely!). HD Wallpaper and background images in the U.S. Republican Party club tagged: photo barack obama twitter anti-obama humor republican democrat sheep executive orders.